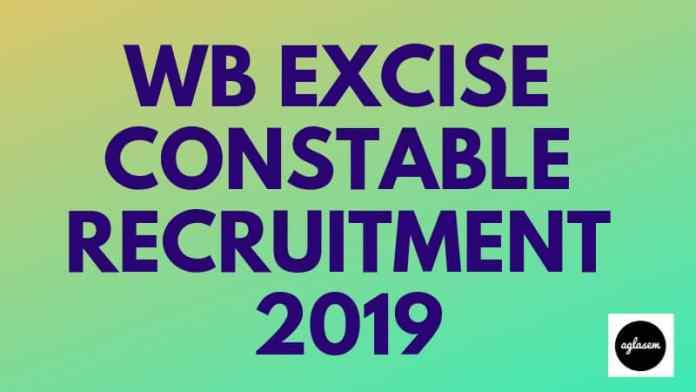 WB Excise Constable Recruitment 2019 – West Bengal Police Recruitment Board (WBPRB) released the WB Excise Constable Application Form 2019 on March 11, 2019. The application form has been released at the official website i.e. wbpolice.gov.in. 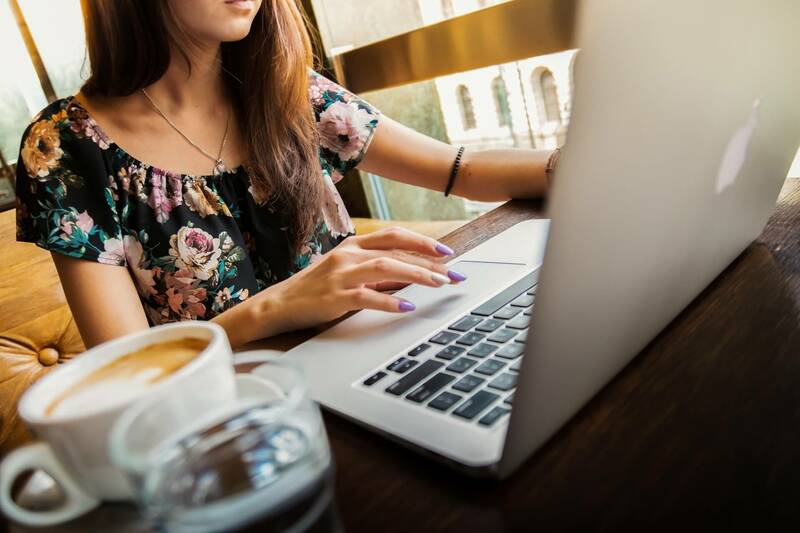 Up to April 10, 2019 candidates can register for WB Excise Constable Recruitment 2019. Candidates can do the registration by filling and submitting online or offline application form. The WB Excise Constable Recruitment 2019 will be done to the post of Excise Constable(Including Lady Excise Constables) for total 3000 vacancies. From this page, candidates will get full information regarding WB Excise Constable Recruitment 2019. Latest: WB Excise Constable Application Form 2019 has been released. Scroll down to access the link. The WB Excise Constable Recruitment 2019 of the candidates will be done on the basis of Preliminary Examination, Physical Measure Test (PMT), Physical Efficiency Test (PET), Final Written Exam, Interview, and Medical Test. For more information regarding West Bengal Police Excise Constable 2019 check the schedule given below. The candidates can register for WB Excise Constable Recruitment 2019 by filling the online or offline application form. In the form, candidates should fill the valid details. Online Application Form: The online forms are made available at the official website. The direct link of the online form has also been given below by clicking on that link candidates will be redirected to the online registration page. New user first needs to Sign Up by filling name, id, mobile number, password etc. Thereafter click on the sign-up button. After that application form filling page will open in that candidates have to fill the personal, contact, educational, qualification details and have to upload the photograph and signature. Payment: Candidates can make the payment by using the credit card, debit card, net banking, e-wallets, Bharat QR, UPI App etc. Apply Online – Click here For filling Online Application Form. Offline Application Form: The offline form are also made available at the official website. By filling mandatory details and thereafter by clicking on the save download button candidates will get the print out of it. The downloaded off-line application form must be printed on 75 GSM A4 size white paper using Mono-Laser jet, 600 dpi or higher, Normal Print. Payment: Candidates can deposit fee in favor of “West Bengal Police Recruitment Board“ in any of the nearest post offices having e-payment facility. The facility has been available in 388 post offices located in the districts of West Bengal. Apply Offline – Click here For filling Offline Application Form. The recruitment will be done for total 3000 vacancies and the commission has the right to do changes in the number of vacancies. Vacancy Distribution has been done on the basis of category. From below candidates can check the West Bengal Police Excise Constable 2019 Vacancy Details. Before filling the form candidates should first read the eligibility criteria then only he/she should apply. From below candidates can check the WB Excise Constable Recruitment 2019 Eligibility Criteria. Age: The candidate’s age should be 18 to 27 years old as on January 01, 2019. Age Relaxation: 5 and 3 years of age relaxation will be given to the candidates belonging to the for SC/ST and OBC category respectively. Educational Qualifications: The candidates should have minimum qualified Madhyamik Examination from the West Bengal Board of Secondary Education or its equivalent having Bengali / Nepali as a language paper. Language: The candidate should able to speak, read and write in Bengali / Nepali language. After ending the application form filling process e-admit card for the preliminary examination will be issued to the candidates. The candidates who will fill the form on time for those only e-admit card will be issued. WB Excise Constable Admit Card 2019 will be released on the WBPRB official website. For each stage of the examination, separate admit card will be released by the board. The admit card will be containing candidates name, roll number, center name, center code, father’s name etc. For all the candidates it will be mandatory to carry a hard copy of the admit card and one valid photo id proof (adhaar card, pan card, voter id card, passport etc) on the day of the WB Excise Constable Examination. Negative Marking: 1/4th marks will be deducted from the allotted marks. Physical Measurement Test (PMT): The physical standards (height and weight) of the candidates who will qualify Preliminary Written Test will be tested. The physical standards will be tested by using Electronic Machines. Criteria of physical standards have been described above. Physical Efficiency Test (PET): For the qualifiers of PMT, PET will be conducted. The timing of running will be calculated by the Radio Frequency Identification Device (RFID). Details of PET has been described above. Interview: The candidates who will qualify the final test those will be called for the Interview round. In the interview test, general awareness and suitability of the candidate for public service will be examined. Verification Process: The provisionally selected candidates on the basis of the final and interview test marks have to fill the Verification Roll which will be thoroughly checked by the board. Medical Examination: After Verification Roll selected candidates will be sent for Medical Examination at the State Government designated hospitals. Details Medical Examination has been described above. At first result for the prelims will be declared. For each stage of the examination separate result will be declared by the board on the official website. The preliminarily written test marks will not be considered for preparing the final merit list. On the basis of the marks obtained by the candidates in the Final Written Test and the Interview, a merit list of the provisionally selected candidates will be prepared by the board. After the conduction of the medical test final result will be declared. The candidates whose name will be there in the final result those will be appointed for the post of Excise Constable. All the selected Excise Constable & Lady Excise Constables will have to undergo the training at Police Training School (PTS) or Subsidiary Training Centre (STC) or any other training center or institute. The recruited candidates will be given the Pay Scale of Rs. 5,400 – 25,200/- (i.e. Pay Band-2) and Grade Pay Rs. 2,600/-. For more Information regarding WB Excise Constable Recruitment 2019 (online form) Download Advertisement. For more Information regarding WB Excise Constable Recruitment 2019 (offline form) Download Advertisement.